Editor’s Note, January 31, 2019: Yesterday, the Church announced that they have created new mission planning tools that helps prospective missionaries understand when they should submit their application to increase the likelihood of starting and ending their service at the right time. I will write more about these tools later in another post. Until then, the Mission Release Date Planning Tool and Mission Submission Planning Tool can be found on the Church’s website. Today I want to talk in more detail about the mission application timeline, the steps involved in the mission call process, when to begin, and how long to expect the steps to take. Please note that all times are approximate. Your individual circumstances may vary. I have previously written about mission papers and the process for applying to go on a mission. That post dealt with the process from a high-level, perhaps too high of a level, because I still get a lot of questions on precisely when to initiate the steps in the application process. Below I will attempt to answer some of these common questions; let’s hope I succeed. As you can see in the chart above, the timing for when to start the application process depends on your availability date. So your first step will be to determine the date you are available to start serving a full-time mission. Your availability date will be, at the earliest, the day your turn 18 if you’re a young man, or the day you turn 19 if you are a young woman. Your availability date cannot be prior to this birthday, but could be later depending on circumstances such as schooling, etc. About five months prior to the date you are available to start serving, you will want to begin the application process. Starting your mission papers is done by first setting up a meeting with your bishop. He will go over the spiritual and physical requirements to serve a mission. He will tell you about the application process and he will either give you the paper work or give you directions to log in to the mission papers website (the Missionary Online Recommendation System). You will want to make an appointment to go to the doctor and dentist at this time to have them fill out the medical forms necessary to complete the application. If you have known dental issues you may want to go to the dentist even earlier. This is also a good time to start taking the Church’s missionary preparation class and temple preparation course if you haven’t taken them yet. And if you haven’t gotten your patriarchal blessing by this point, you’ll want to make arrangements to do that as well. The process of going to the doctor and dentist, filling out the application, getting your photo, meeting with your bishop and stake president, etc. generally takes at least a month. The last step of the paper work, meeting with the stake president, generally takes place around four months before you would like to begin your mission. Actually, I don’t think you are even allowed to submit your paperwork more than 4 months, 120 days, prior to your availability date. The stake president then submits your mission application to Church Headquarters. After the application is submitted, depending on several factors, you should get your mission call letter in about 2 to 4 weeks. That letter will have your mission assignment and the date you should report to the MTC. The Church normally tries to allow two to four months between the issuing of the call and the beginning of the mission. In the packet you receive from Church Headquarters will also be additional instructions and information from your mission president specific to your mission. After receiving your call, if young men have not yet been given the Melchizedek Priesthood and ordained to the office of an Elder, that should take place at this time. Young men need to be advanced to an Elder in the Melchizedek Priesthood prior to going to the temple. This is also the time, if you haven’t done so yet, to start shopping for all the items you need to bring on your mission. 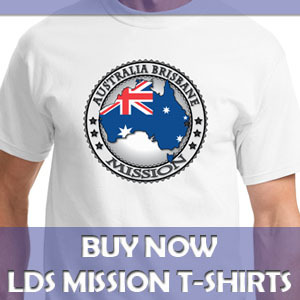 Your mission call packet will have details on clothes and other items specific to your mission, but for a general list of items check out my LDS missionary clothing list. LDS temples are an integral part of missionary work and missionaries generally go to the holy temple to receive their endowment just prior to leaving on their mission. Through the temple endowment, missionaries receive knowledge, power, and protection from on high to do their work. The Church also has a seven-lesson temple preparation course that future missionaries ought to take. Talk to your bishop about arrangements for this class; you’ll probably want to start taking this course around the same time you start your missionary application. That’s it. Here’s a recap of the steps of the mission application timeline. 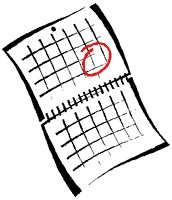 First, determine your availability date. 5 months prior: Start the application process by meeting with your bishop. 4 months prior: Submit the paper work (generally done by the stake after your interview with the stake president). 3 months prior: Receive your mission call letter and further preparation instructions specific to your mission. 2 months prior: Young men should be ordained to the Melchizedek Priesthood and office of an Elder. 1 month prior: Go to the temple to receive your endowment. Then it’s off to the MTC and your mission. Good luck and may God bless and be with you. Origins of the Saying "Every Young Man Should Serve a Mission"
congrats to all missionary that have desire to serve God, be fucos in our purpose to invite others to come unto Christ. Sir. I am willing to serve the lord with you in sikkim as a missionary. Can you support me. How can i get information. Question, what are the guidelines for pictures for mission papers? I’m filling mine out right now, and I have no idea. Are you asking about the guidelines of what you are supposed to wear in your mission picture? Or the height/width of the picture you’ll need to upload as part of your application? If you’re asking the later, I don’t know. But for the first question, you are supposed to be dressed as a missionary, including appropriate clothing and hair. The Provo MTC website has the dress and grooming guidelines for elders and sisters. just a quick question.. how do you apply your mission papers online??? You have to get the login instructions from your bishop. I’m not exactly sure if the Church publishes picture guidelines (other than what you have said, i.e. to be dressed like a missionary). My suggestion would be that shoulders and up is probably best (something similar to a passport photo). And a plain or solid background would also probably be best. Good luck. hello!i just wanna ask something regarding in waiting for a calling. last month my stake president sent my papers and in reply the mission area found out that i am anemic and they suggest that i should take vitamins and eat green leafy vegetables for 1 month and then i should check again my hemoglobin.so my concern is it my papers are being hold?i asked my stake president last night about my status and then he said he doesn’t know if they hold it. Ayan, If your mission call is on hold, the Church will be in communication with you, likely through your stake president. If you have any questions, your stake president should know how to call Church headquarters and find out the status of your call. Good luck and God bless. I’m still in High School, but I’m 18 and am getting in the process of completing the online mission application process. When it asks if I graduated from Seminary, and from High School, should I put the current answer (no) or the answer that will be effective when I leave for a mission (yes). Yes, if you’ll be graduating from seminary and high school soon, just put yes. This is one of the questions on the mission application form that I imagine they will reword in the future. In the past, mission applicants were well out of high school when filling out the paperwork. Now, with the new lower age, there are many high school seniors applying. So if, in all likelihood, you will be graduating from seminary and high school in the next few months, then my advice would be to just answer yes. I’m a convert and I was wondering when the earliest is that I can put in my papers. Some people say it’s a year after the date of my baptism and other people are telling me nine months, but I’m not quite sure which is right. I’m just curious. Either way, I have a while to go, but I’d just like to know. You could probably put your mission papers in 8 or 9 months after your baptism. Your availability date to enter the mission field can’t be until a year after your baptism. But the Church will accept mission applications 120 days (4 months) before the person’s availability date. Work with your bishop and he will help you know when it is an appropriate time to put in your paperwork. Congratulations on your baptism. Good luck and God bless you in your mission preparation. Hi. I will be able to start my mission papers in three months according to your chart. But, I work a lot and only have a select few days off a month and its hard to get time off. I have to ask for time off two months in advance. So I’m just wondering, is it possible that I could start my papers earlier than the five months but still wait for the four month mark to submit them? Because the extra time in starting them earlier would really help to get them submitted in time for my availability date. Yep. You can do that. Just be in communication with your bishop about it. I’m sure it will be fine. Hie jimmy i’m 17 about to turn 18 i have graduated once in seminary and haven’t been attending due to some pressure from school. So can i go to serve a mission? Yes, you can still serve a mission. Seminary attendance is not required, though it is encouraged. Good luck. I’m a convert and I’m hoping to go at the end of April. I’ve heard that your availability date can only be so far out. What is the maximum number of days that the date can be out from when submitting my papers? You can submit you mission papers a maximum of 120 days (4 months) prior to your availability date. i have been debating on serving a mission or not because i have a stress disorder and anxiety so i am feeling like i should but shouldnt go what should i do? The safety and well-being of the missionary is always paramount. LDS Family services provides a service to help missionary candidates determine if the rigors of full time missionary service are appropriate in your case. I recommend that you give your local LDS Family Services office a call. If full time missionary service is not for you, there are many wonderful Church Service Mission opportunities. Best of luck! Just a quick comment on the application timeline. When the age requirement changed for missionary service, there were several other logistical items that came into play. 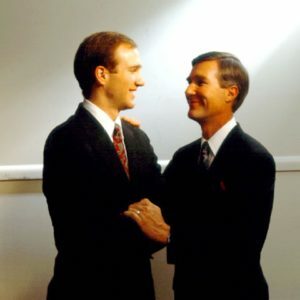 For example, Bishops and Stake Presidents in the US have been instructed not to ordain missionaries to the Melchizedek Priesthood until after they were 18 AND graduated from High School. Since going to the temple requires this, it could mean that prospective missionaries have a busy summer if they intend to leave right after graduation. It is helpful to plan for this and to speak with your Bishop and Stake President to ensure that all the necessary interviews happen at the proper times. By availability date, do you mean 18 or 19? Like availability as in your birthday? So In the chart it shows that you start your mission papers four months prior to availability. However in your article it says five months prior. Just not sure which is correct. It’s five months. Somehow an old version of the chart/image got in there. I have corrected the page now. Thanks. My son will graduate from high school at age 17. I understand that you are able to put your 18th birthday as your availability date. However, you need to receive the Melchizedek priesthood and go through the temple before leaving on your mission, and in the past, you needed to be 18 for this. 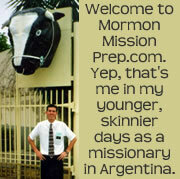 It seems either the age to receive the MP must be lowered to 17 in cases of high school graduates with mission calls, or the church needs to put the eligibility age for missionary service at 18 and 1-2 months. Has a statement been issued on this? The Church has not issued a statement on this–not that I know of anyway. I have heard that the Church has recently re-emphasized that young men should be 18 years old and graduated from high school before receiving the Melchizedek Priesthood. 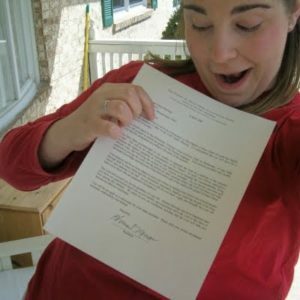 Having said that, I have also heard, and common sense would indicate, that if a 17 year old young man has received a mission call and is asked to enter the MTC on or around his 18th birthday, then an exception would be made so he could receive the priesthood and get his temple endowment in the weeks prior to entering the MTC when he still may be 17 years old. But this is an issue you would need to discuss with your stake president if that circumstance ever does come up. Good luck. My son submitted his paperwork nearly six weeks ago and has not received his call yet. The stake president called the missionary department and the stated that it had been screened and that his packet had comments on it. Have you heard about calls taking a long time and potential causes for delay? Your guess is as good as mine. I don’t know what that means “his packet had comments on it.” Sounds like something on his application could be causing the delay. I’d see if you can get more details from the stake president or ask him if he can call again. Good luck. comfortable accommodation and a great view at affordable rates. be found in Nusa Dua, at the opposite of Conrad Hotel. I just put in my papers, and I was wondering if i will still receive my call even if I am still in high school and haven’t received the Melchizedek Priesthood or have been ordained as an elder, but I did just turn 18? What is the tattoo policy for missionaries. I am a 21 year old trying to start papers and I am not sure if I am allowed to with tattoos. They are all military related during my time in the marines. hi! It’s almost time to start my mission papers and I want to have a “happy 19th & see ya in 18 months” party and I want to open my call then, when should I have my party? would it be easier to have it closer to my date or earlier when I get it in the mail? If you didnt get your Hep A and B shots six months in advanced before turning in your papers – can you still turn in your papers if your availability date is set for after the last shots are finished? Basically – Can I turn my papers in February 1st and have my Availability date May 1st but have my last shots be in April? Or do I have to wait till my shots are complete to turn in my papers? Kylee, I’m not a 100% certain, but I’m pretty sure that you do not have to wait until your shots are complete to turn in your papers. Your plan to turn in your papers in February, have your availability date in May, and have your last shots in April should be fine. Of course, you’ll want to verify this with your priesthood leaders. Good luck and god bless you on your mission. Hey so I’m about finished with my papers and can submit them in 7 days at the soonest (exactly 120 days before my availability date) my question is do you need to have your bishop and stake president interview done before submitting your papers? Or is that done usually after they’re submitted? Hallie, Yes, your bishop and stake president will interview you before submitting your papers. In fact, you don’t actually submit the paperwork yourself. Once all the paperwork is done, the stake (usually the stake clerk) submits your application to church headquarters. I have already submitted my papers but we are not a stake yet. Should I still meet with our district president or go directly to our mission President? Marejoy, That’s a good question. I honestly don’t know. I would imagine the district president can do it, so I recommend talking to him first. If he’s not the right person, he’ll let you know. P.S. When you find out, please let me know so we can share the knowledge with others.